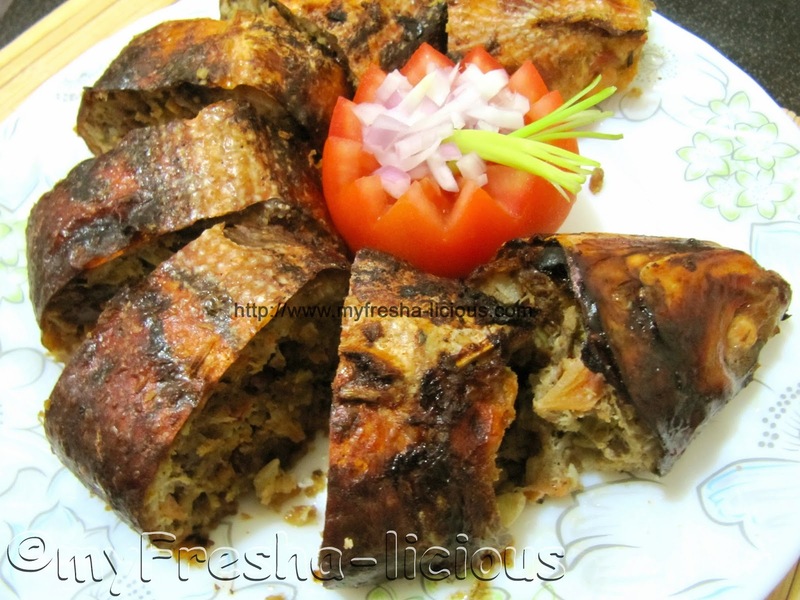 Rellenong bangus , that's how we call the bangus (milkfish) that was de-boned, then stuffed with a delicious bangus filling. 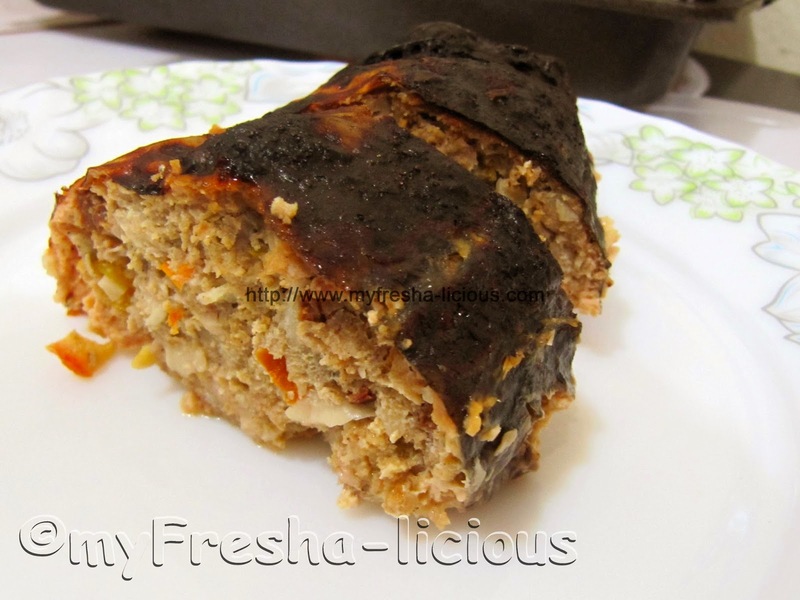 Rellenong bangus are usually steamed then fried but my husband wanted to serve me a healthier version so he decided to bake his rellenong bangus instead. 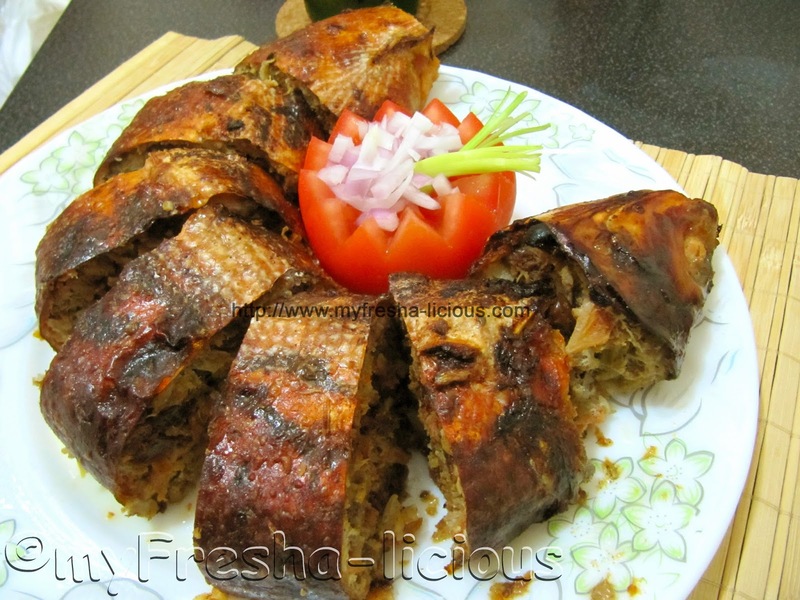 Rellenong bangus has always been in my "to cook" list for over 4 years now but never really had the initiative to cook one as I find it tedious and laborious with all the de-boning, ensuring that all fish bones are removed, meat-shredding, steaming, and then the frying. My husband made it look so easy to make and cook rellenong bangus, however. I don't know what has gotten to him one day when he arrived with a bag full of veggies and 2 pcs of bangus (milkfish). He just audaciously announced with a deep almost-bedroom-like voice (he's was trying to sound romantic) - "I will make you fall-in-love with me even more" as he showed me the grocery bags. That was many weeks ago, and, again, he told me the same pitch during today's lunch. And as he predicted, his super burpi-licious and very healthy baked rellenong bangus had charmed its way to my tummy, that made me fell head-over-heels in love with my husband even more (nyahihihi.... evil grin). I'd love the husband even more if he makes more rellenong bangus so we can have it every day for my breakfast, lunch, and supper, I will be very very burp-happy . I want more! 1. Wash, scale, and gut, gut the fish. You should slice the fish from its back bones. Drain. 2. Gently massage the fish with your bare hands, to loosen the fish meat. Break the spine of the fish at the head and the tail. 3. Scrape the fish meat from the skin. Remove the big bone. Make sure that the skin and head are whole and intact. Set aside. 5. Mix together the fish meat and the rest of the ingredients except for the eggs and powder ingredients. 6. Beat the eggs and mix in the garlic powder, black pepper powder, and salt. Pour it on the fish and veggie mixture. Mix by hands or with a spatula / wooden spoon. 7. Stuff the fish and veggie mixture inside the fish skin and sew the opening. 8. Pre-heat the oven to180 degrees C. Brush the rellenenong bangus with vegetable oil, cover it again with aluminum foil, place inside the oven, and bake for 25 minutes. 9. Take out the rellenong bangus, open the foil and remove all the liquid. You can set aside the liquid for consumption. 10. Increase the oven temp to 200 degrees celsius. Brush the rellenong bangus with oil, then return it inside the oven, this time open the foil or you can remove the foil entirely. Bake for at least 20 minutes or until the skin turned brown (not burnt). Remove from the oven.